From 1969 onward, the American space program has seen a constant stream of firsts. Some of these, like the first spacewalk, are huge. Others are quieter, more incremental. All of them are important. 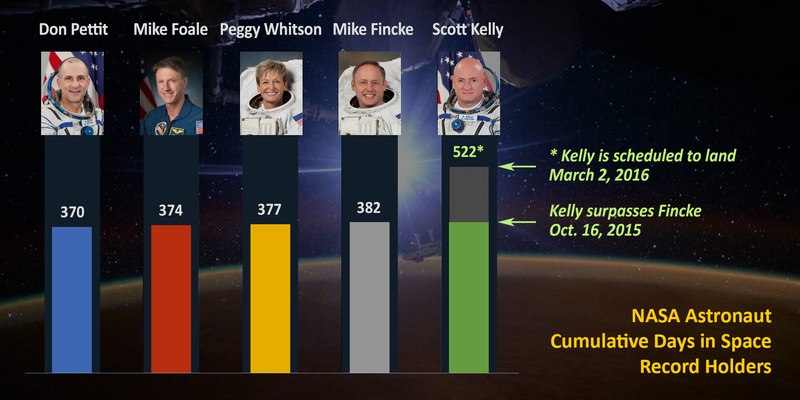 On Friday, October 16, astronaut Scott Kelly broke the record for the most time spent in space by an American. The title was previously held by Kelly’s colleague Mike Fincke, who spent 382 days in space. Kelly’s time in space is all part of NASA’s “One Year” experiment, which aims to understand the effects of prolonged space flight on the human body and mind. Kelly is due to return to Earth on March 3, 2016. By then he will have spent a total of 522 days living in space over the course of four missions. 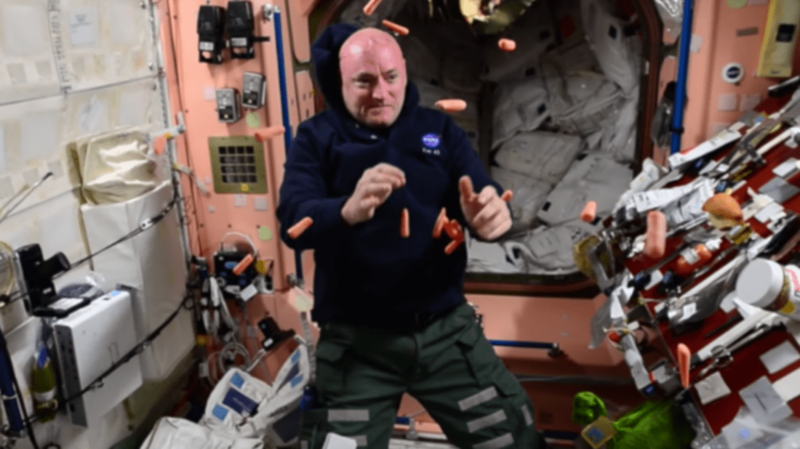 You may recognize Kelly from video of a different experiment, in which he released beautiful colored bubbles into the space station’s microgravity. To celebrate the milestone, NASA has released a highlights reel of Kelly’s time aloft.